AmeraCat Power Catamarans are used all over the United States on a daily basis by charter captains as charter boats. When it comes to choosing a boat to be used everyday in the roughest of seas, the pros know the power, stability and reliability of an AmeraCat Center Console Fishing Catamaran. If you are interested in taking a charter boat aboard an AmeraCat Power Catamaran, you can book a charter with one of these boats. 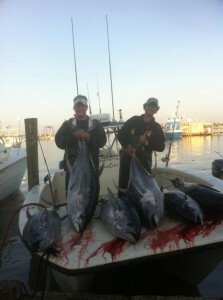 Blind Faith outfitters is Venice Louisiana’s most exclusive fishing experience. Capt. 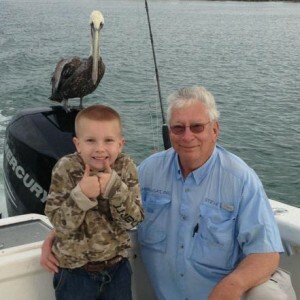 Lee McLean has over 20 Years experience in the beautiful Louisiana water. Blind Faith Outfitters specializes in YellowFin Tuna Fishing, Wahoo Fishing, Snapper Fishing, Grouper Fishing, Kingfish Trips, And Billfish Trips. With many techniques acquired over the years Captain Lee will not only put you on the fish, He will get them in the boat. If you are ready for the experience of your life click here to book on this charter boat in beautiful Venice Louisiana. Legend has it that Captain Peace Marvel was conceived when his mother had a dream that she was pierced in the side by the bill of a snow white marlin. His uncanny ability to find fish and entice them to bite has earned him the reputation as one of the top blue water fishermen anywhere. To view their website Click Here. The Mule Team is the A-team of fishing, and we want you to be a part of it! 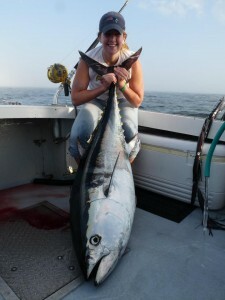 We specialize in Yellowfin Tuna and Wahoo trips along with rig and wreck fishing for species such as Red Snapper, Mangrove Snapper, Grouper, Cobia and Amberjack. We also have boats available for the inshore angler looking to get in on some of the best Speckled Trout and Redfishing that the world has to offer! To view their website Click Here. We are constantly building Fishing Machines for charter captains all over the United States. If you are on the hunt for a new center console fishing catamaran for your charter fleet, AmeraCat is dedicated to bringing you the best quality power catamaran on the market. 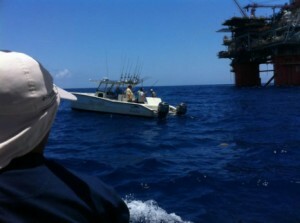 We build all of our boats durable, reliable and always to the fishing grounds first. We can build you charter catamaran fishing boat to your unique specifications and can add any feature you may need in order to make your clients fishing experience the best available. Fill out the form below to get in touch with one of the members of our team today. Here are some pictures submitted by AmeraCat owners all over the country. To submit fish pictures caught on your custom offshore fishing AmeraCat, please visit our Fish Pictures page and submit them there. Ready to demo an AmeraCat? Fill out the form below to get in touch with us.